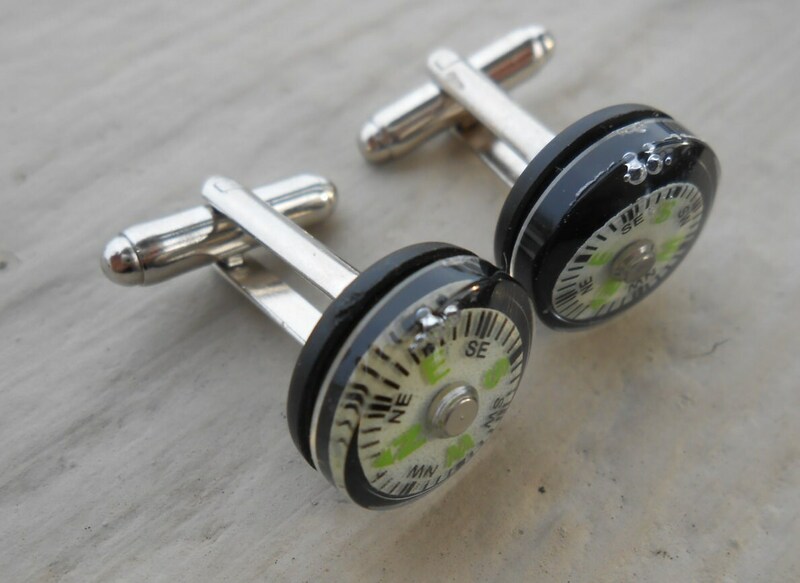 COMPASS Cufflinks. Wedding, Men's, Groomsmen Gift, Dad. Custom Orders Welcome. Steampunk. 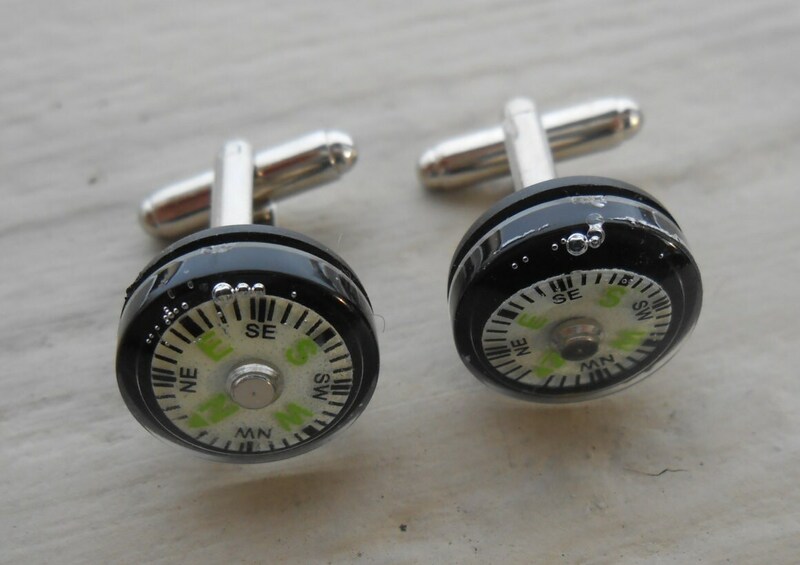 These compass cufflinks are perfect for any man! 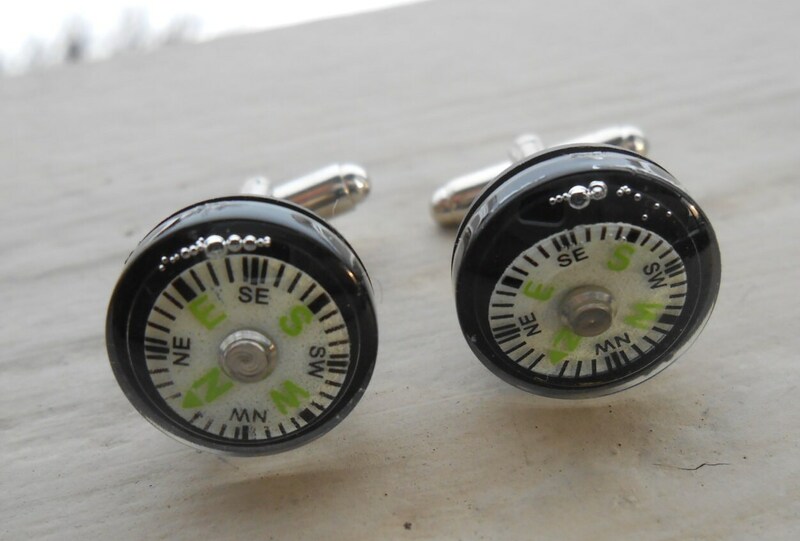 Each cufflink has its own working compass! 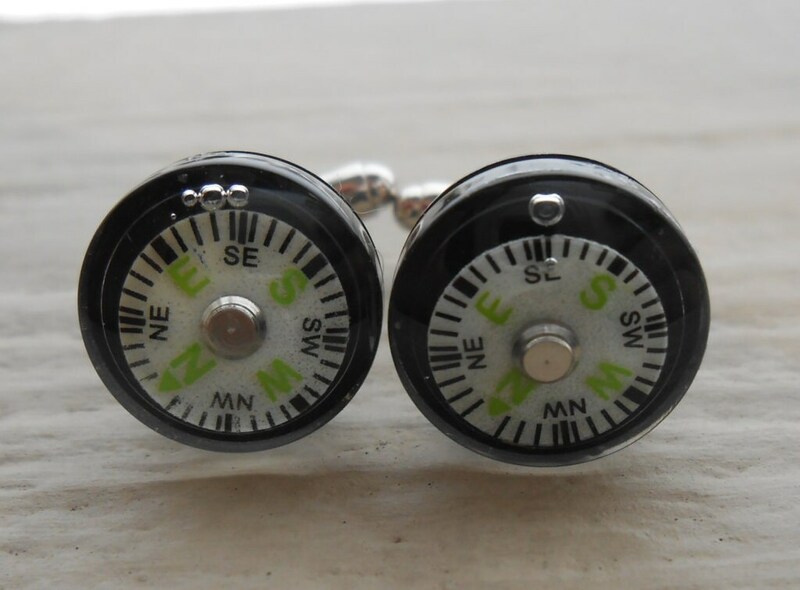 These make great gifts and are especially good for "travel themed" weddings and events. 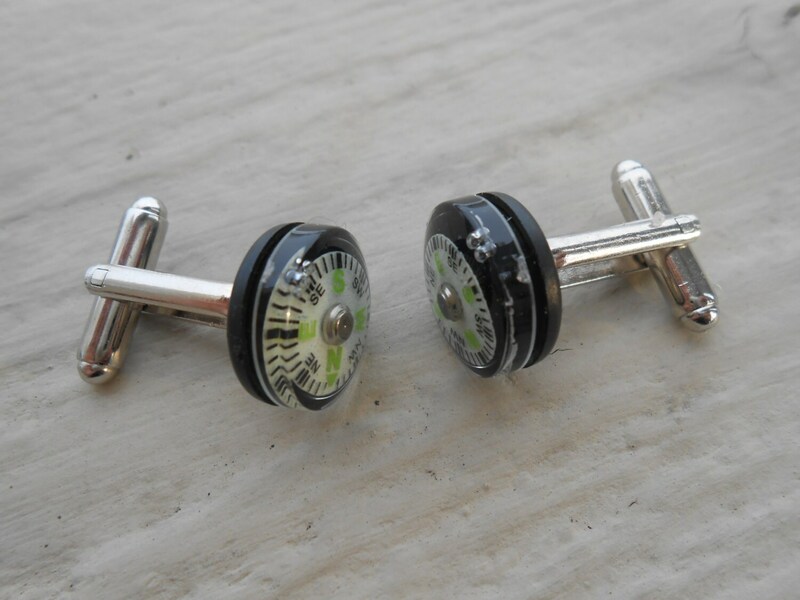 They measure 5/8" and are black, with a white and green circle. This listing is for one pair. The backs are a silver color.